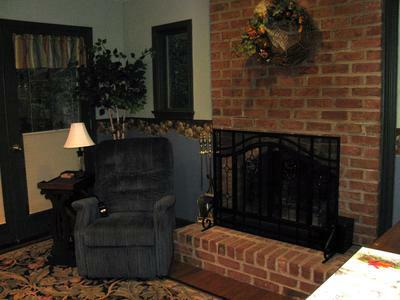 We are located 40 minutes west of Fairfax, VA in a residential area backing to acres of woods. Our two-room addition with separate entrance sleeps two adults, with its own bathroom and small kitchenette area. French doors and skylights let in light while nearby trees provide shade. The suite is available as a ministry at no charge. Donations are not expected, but any received go toward consumables and expenses. The space is available Monday through Thursday nights, for a one- to four-night stay. Coffee, tea, and water are provided. There are a refrigerator, toaster oven, coffee maker and microwave, but also many restaurants within a 5-10 minute drive. Bed linens and towels, kitchen supplies and toiletries are provided and there's no need to clean up at the end of your stay. Visit our website at www.newseasonretreat.com and email us at info@newseasonretreat.com for an application.